This book debates the nature and functions of authority: it examines how far our inherited images of authority derive from an aristocratic and traditional order and considers which models of authority are still relevant in a democratic and rationalist society. 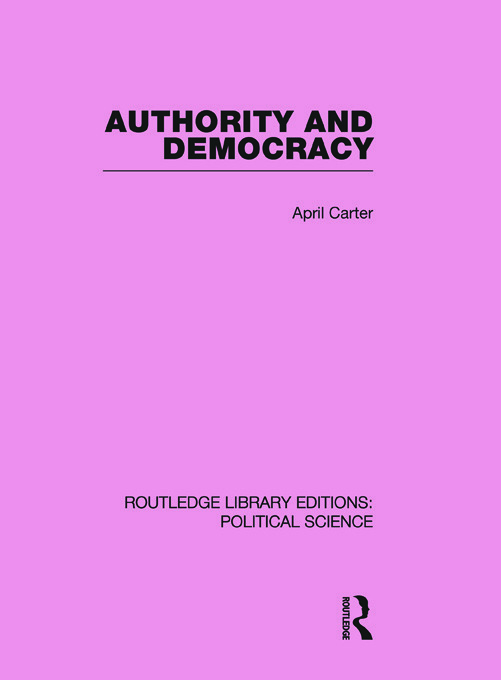 It discusses the characteristics of the authority relationship, whether political authority differs from other kinds of authority, how authority relates to power and whether authority should be distinguished from the concept of legitimate rule. The latter part of the book explores the relevance or irrelevance of authority in contemporary society. In particular it examines recent libertarian arguments for the rejection of all forms of authority and the special problems of creating and maintaining authority after revolution.